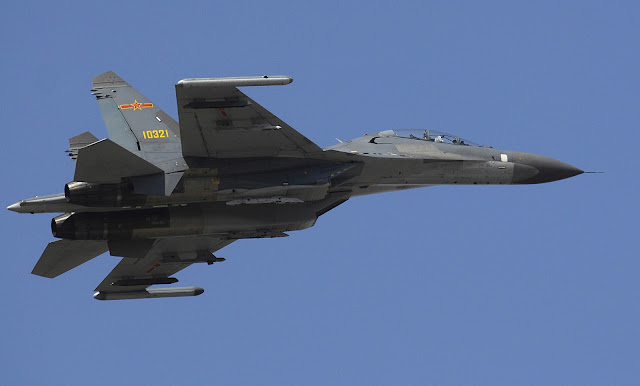 China's new J-11D multirole fighter jet is much closer in capability to the old version of the Russian Su-35 fighter designed in the 1980s than the modern variant of the jet, says the Kanwa Defense Review, a Chinese-language military magazine based in Canada. The J-11D, which conducted its maiden flight in April this year after more than four years in development, is an upgraded variant of the J-11B indigenized multirole fighter. The J-11D adopts the body structure of the J-11B but uses substantially more composite materials, particularly in the vertical tail and wing sections. It also has a weapons station that could reach 12 to 14 pylons.